Our goal here at MoolaSavingMom.com is to make your couponing as easy as possible! If you are just starting on your Strategic Spending Journey- here is our getting started guide! So many people ask “How do I start couponing?” Well to me there are two types of couponing: (1) Using a coupon on an item and (2) strategic couponing. What I do and what I recommend is strategic couponing. I’ve had a lot of requests to revive this series so here we go! Lesson 1: What is Strategic Couponing and why should we do it? I have a $1 off Reynolds Foil that is regular priced at $3.99. The same roll of foil could cost you $3.27 or $0.28 – the only difference is WHEN you buy it. We’re looking for that perfect store of a store promotion, sale and coupon. So what IS Strategic Couponing? Strategic couponing is using proven strategies to maximize your savings by using coupons at the right time and place. It is purchasing more than 1 of the same item when it is on sale. Some people call it “stock piling”. It is using coupons in the most effective manner to save your family 50% or more off your grocery bills. 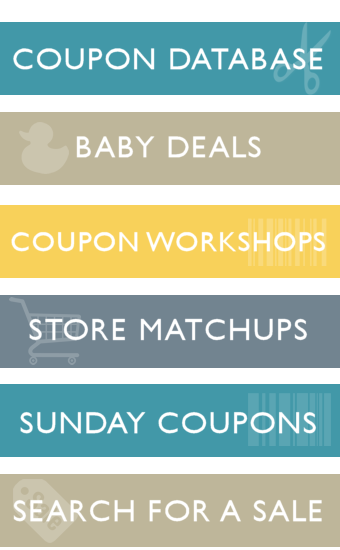 Why should I coupon strategically? If you are going to make a $400 purchase- would you put a little time and research into it? Would you find the best place to buy that item to make the most of your money? Look for the store that will give you some type of incentive (rewards, cash back, etc)? Most people do but yet they turn around and spend $100+ each week on groceries! Yet, if we coupon strategically we can feed our families (plus get personal care and household items) at 50%-90% OFF the retail prices! You can save money on almost everything and it doesn’t have to take hours and hours! You will save money because there won’t be any reaching into the cabinet for toothpaste and finding you are all out and having to run to store and pay $4 for a tube! You will have 3 or 4 on hand! HOW do I coupon strategically? Well, you’ve taken the first step: You found Moola Saving Mom!